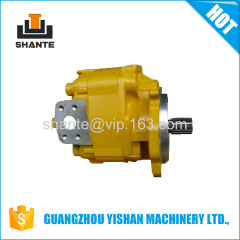 1.Pump housing is made of high strength aluminum alloy material. 2.The shaft extension type: P(plain key), H(rectangle spline), flat key, woodruff key. 3.The joining type of inlet/outlet is flange (F) or thread (L). 4.The auto-compensation unit of axial clearance ensures the high volumetric efficiency. 5.Higher working pressure, wider speed range. 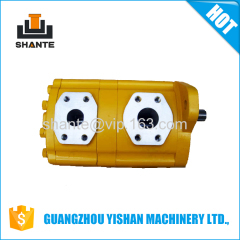 Group of Hydraulic Gear Pump has been presented above, want more	Hydraulic Gear Pump and Hydraulic Gear Vane Piston Pump on bulldozer excavator , Please Contact Us.